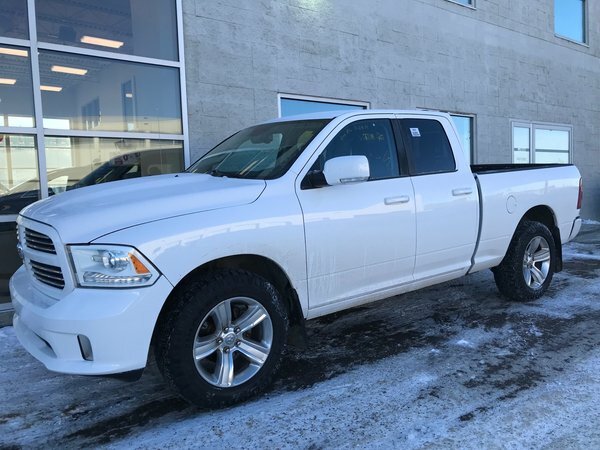 This 2014 RAM 1500 CrewCab 4x4 SPORT has HEMI power, ON THE FLY 4x4, LEATHER, a/c, all the power options, 8.4" TOUCH SCREEN DISPLAY, BACK UP CAMERA, HEATED SEATS, and lots more! This RAM shows very well in its brilliant white color and is in excellent condition! 5.7L HEMI V-8 - V8 cyl.